Vet number? What vet number? 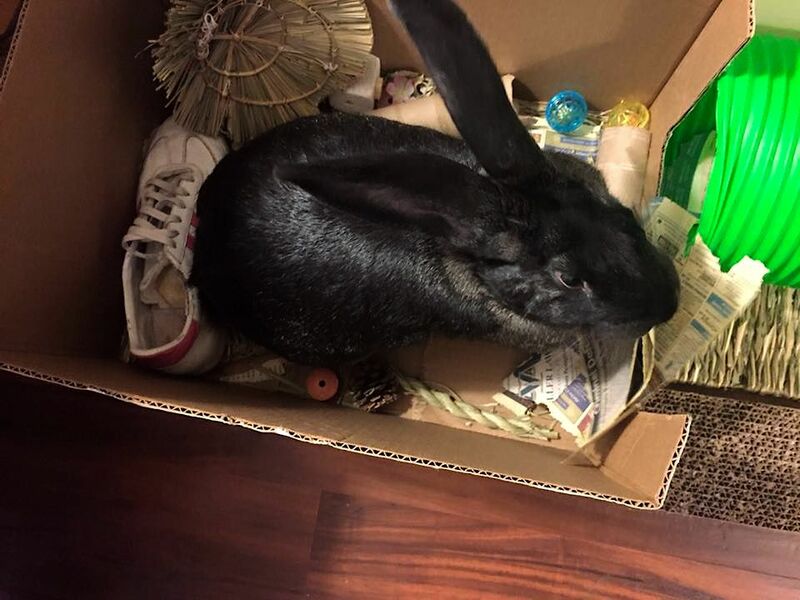 Say - that bunny is a hoarder. Maybe needs a different kind of vet. But being as it is a SNICKERS there is a pass from me! Snicks, it's the nice vet, the one that will help you stay healthy, beautiful, and clever. When you visit, be sure not to get scared and jump out of your carrier or in anyway contrive to get from the exam table to the floor. It's a long way down and, once you get there, it's hard. AND if you hear anyone except Carlissa plaintively calling your name, hide! That's not a hoard. that's a carefully curated collection of stuff that is relevant to a rabbit's interests. How do you like my alliteration?